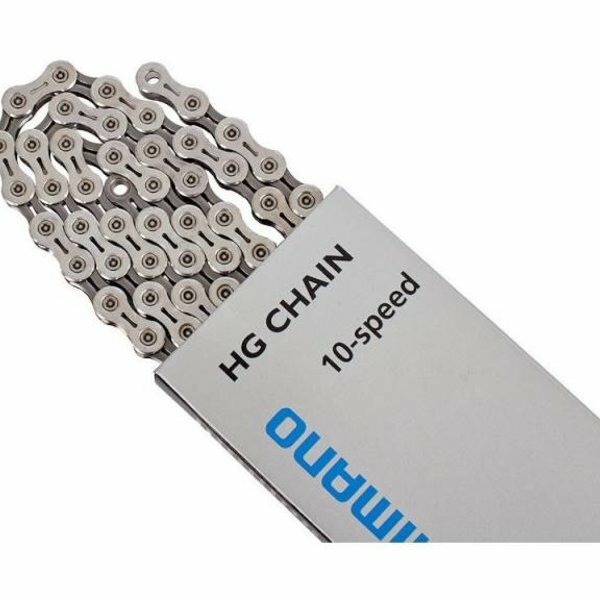 The reworked Ultegra CN-6701 chain by Shimano offers optimized outer plates and the same durability and weight (in comparison to CN-6700) with better performance on the road. 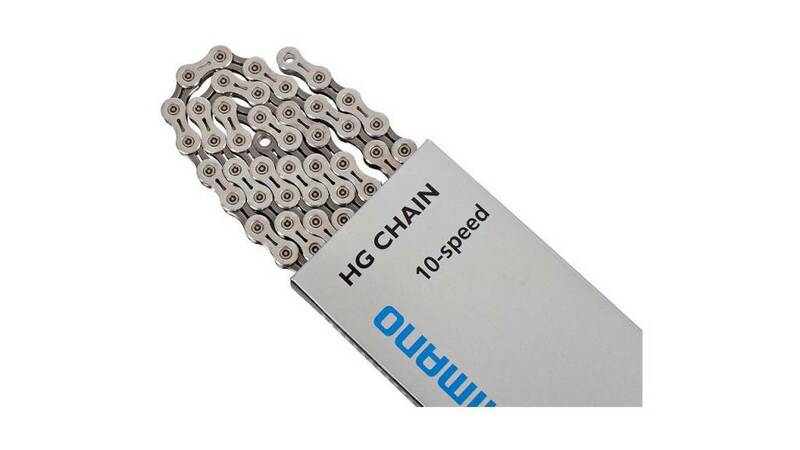 The weight of the HG (Hyperglide) chain is reduced thanks to the perforated inner plates. The inner and outer plate, designed for better contact with gear teeth, allows smooth shifting even under high load conditions. In addition. The chain has achieved a pedaling efficiency of 0.6% higher. Made for HG cassettes. This chain has unique, asymmetrical design. The specially formed plates optimize the interaction between chain and cog as well as smoother shifting under load. The inner side is optimized for rear HG (Hyperglide) shifts and ensures fast and precise shifting. The outer sided is optimized for chainring shifts. 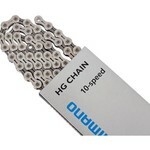 The sides of the chain are marked to ensure that the chain is correctly assembled. The side with the markings is the outer side.